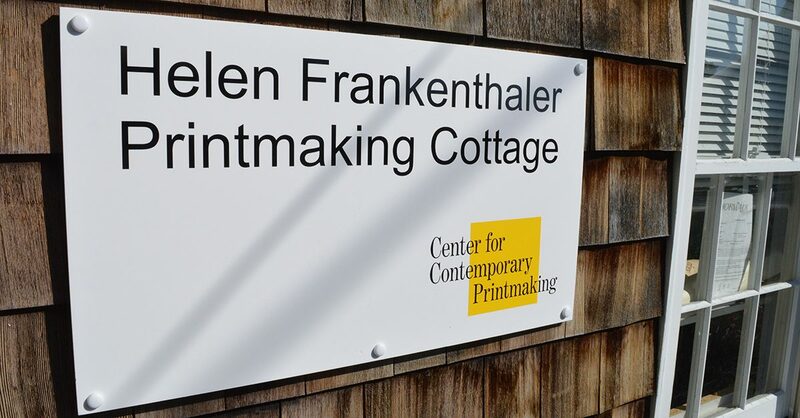 CCP’s Artist-in-Residence Program (AIR) accepts up to four artists each year, one per residency session, to our Helen Frankenthaler Printmaking Cottage, a well-equipped studio with onsite living accommodations. 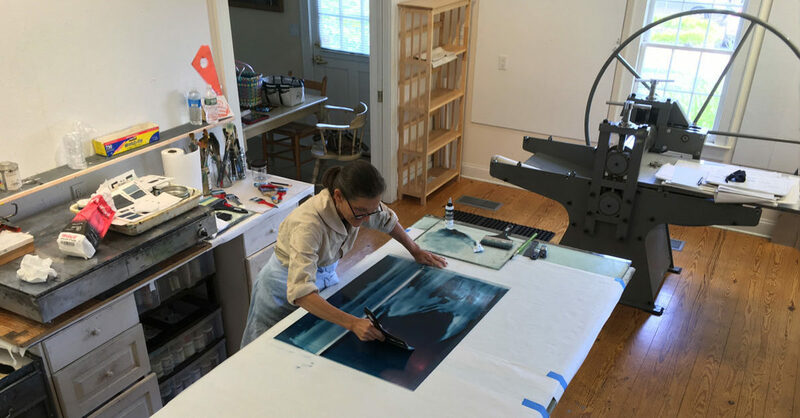 Within this space, artists have the opportunity to produce a body of work in a supportive atmosphere for creative growth and development —using traditional as well as innovative printmaking techniques. Resident artists can work independently or with one of CCP’s staff printers or professional collaborators on an hourly or daily fee basis. All residency programs offer uninterrupted time and privacy 24/7. 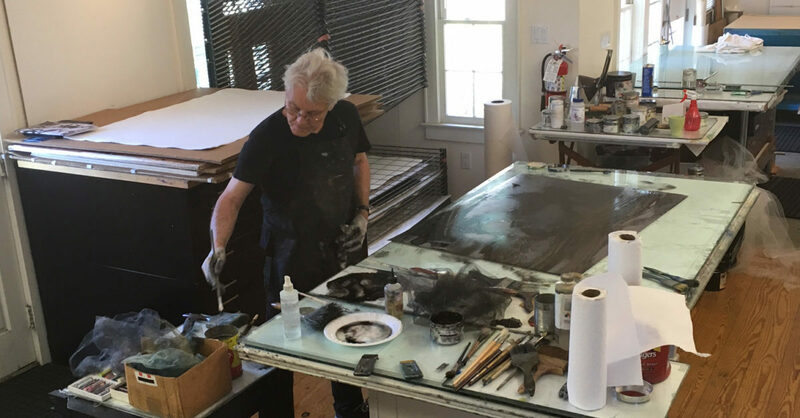 Artists who teach at colleges, universities and high schools throughout the United States may apply for one-or two-week residencies based on professional funding guidelines at your institution. This opportunity is meant to further individual artistic objectives in printmaking. 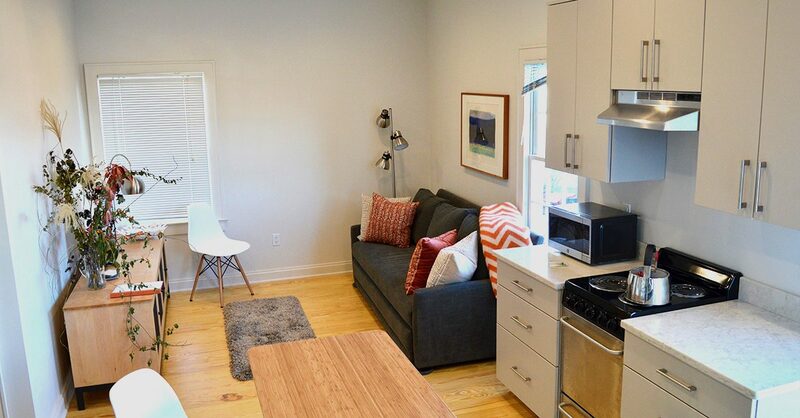 CCP will match 50 percent of residency costs to a maximum of $2,500 associated with the AIR. Travel, food and materials are not covered expenses. The Grace Ross Shanley Education Fund and other secured funds will provide underwriting for the matching funding. 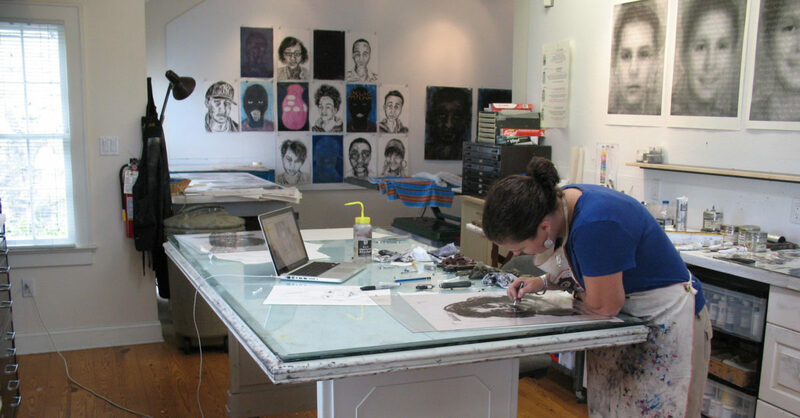 Experienced printmakers may apply for residencies of one or two weeks. 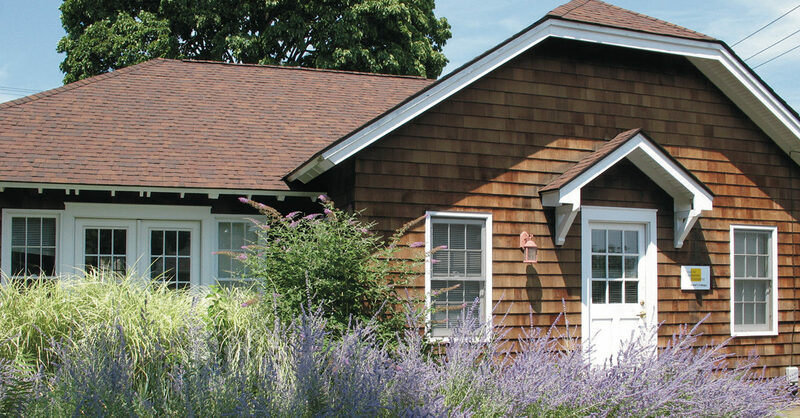 Applications for all residency programs are due on June 30, 2019 for residencies in 2020. Up to four residencies will be awarded for the year, one per session as space permits, given the applicant’s preferred schedule. Please indicate to which of the four residency sessions you are applying. You may provide a second choice for consideration.